Last time we compared performance of Common Language Runtime (CLR) and T-SQL code in a few different areas. 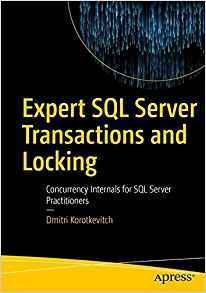 Today, I would like to discuss a few questions related to CLR integration and security. As before, I am not trying to make the point if we should or should not use CLR but rather outline a few things we must take into consideration. 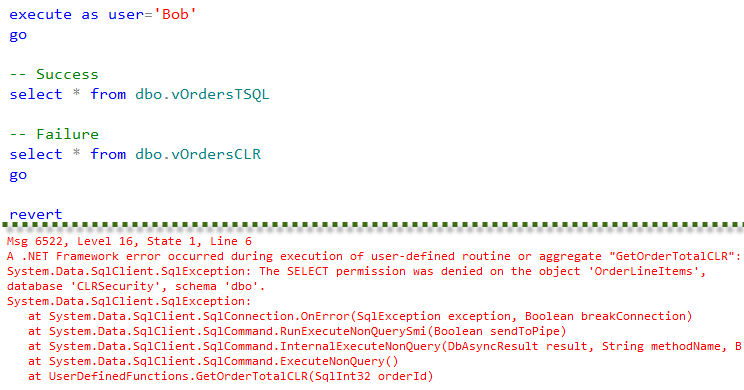 SQL Server has CLR integration disabled by default. Although it would not prevent us from deploying the database with assemblies and CLR objects, we would not be able to call CLR routines until CLR is enabled on the server level. That could lead to the roadblocks for independent software vendors (ISV) who are trying to deploy their systems in Enterprise environments. Database and security administrators often oppose such requirement especially if assemblies require higher than SAFE permission set. It is worth mentioning that system CLR code is always enabled. We can use system CLR types, such as HierarchyId, Geometry and Geography regardless of the configuration setting. Second important factor is that we cannot run the code from assemblies with EXTERNAL_ACCESS or UNSAFE permission sets unless they are signed with the key that has such permissions. 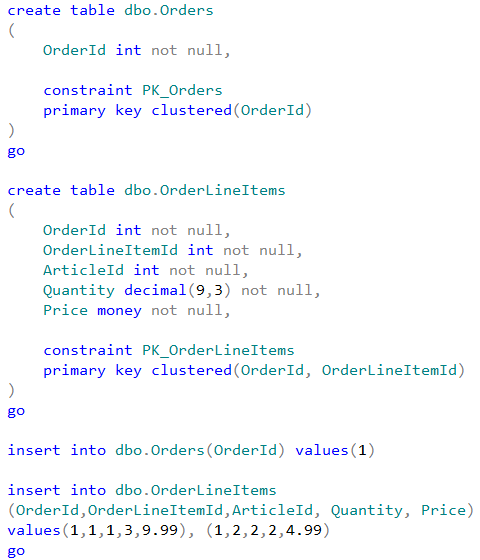 One of the options to “workaround” it is marking database as TRUSTWORTHY. Although, it violates the best security practices and again, would not necessarily works in the Enterprise environment. Let’s look at the right way of dealing with such requirement. 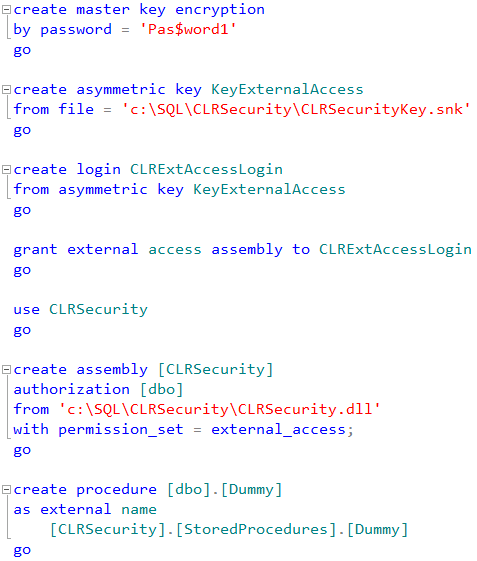 As the first step we will create the small CLR library with EXTERNAL_ACCESS permission set. You can download the source code if needed. Let’s create the database and try to register CLR library there. We will get an error as shown below. As we see, we cannot register the assembly as it is. I’m not going to demonstrate the approach with marking database as TRUSTWORTHY and will show how we can sign the assembly. As the first step, we need to generate the key pair file. We will use sn.exe utility, which is part of Visual Studio and Windows SDK to do that. When we click Signing button, we will see another popup window where we can specify the key file. 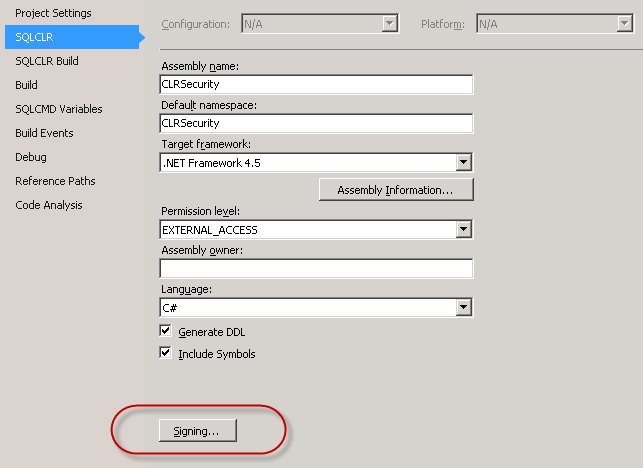 After we compiled the signed version of CLR dll we need to create master key in the master database, next create asymmetric key from key pair file, create login from the key and give that login corresponding permission. And after that we will be able to register the assembly. Now, everything would work just fine. Finally, let’s create the database user and give him SELECT permissions on both views. 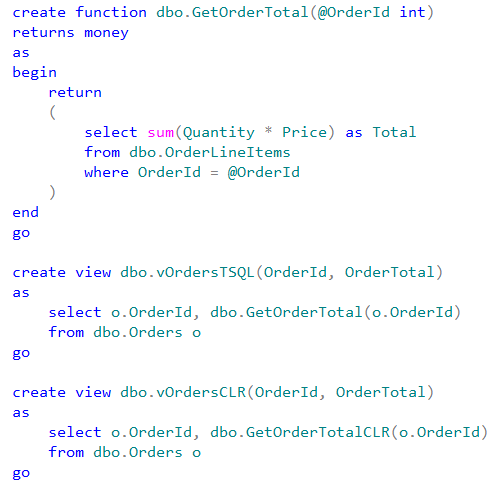 Now, if user Bob selects data from the view that uses T-SQL function, everything would work fine. Bob has SELECT permission on the view and does not need to have SELECT permissions on the tables as long as owner of the tables and the view is the same because of the ownership chaining. 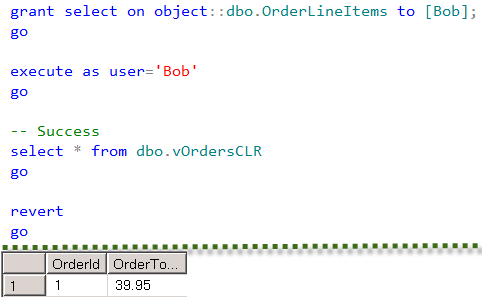 Although, if user Bob tries to query the view that utilizes CLR function, it would not work. That behavior makes permission management more complicated when CLR is involved. As I mentioned earlier, I am not trying to make the case against CLR. 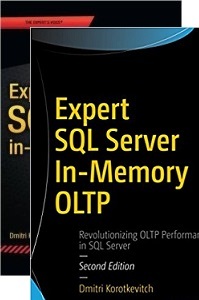 SQL Server Common language runtime integration is very powerful technology. Although we need to be keep in mind performance and security implications, which comes with CLR. 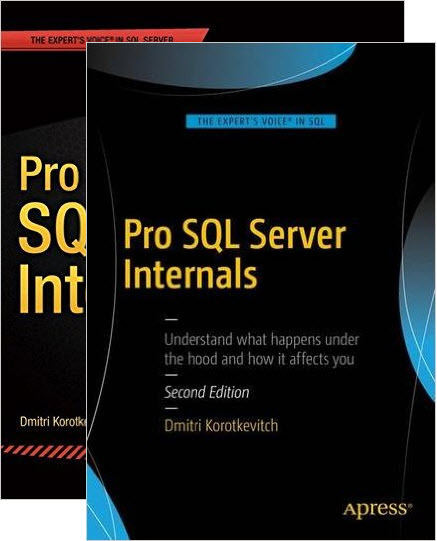 This entry was posted in General, SQL Server 2005, SQL Server 2008, SQL Server 2012 and tagged CLR, Ownership chaining, Security on August 13, 2013 by Dmitri Korotkevitch.